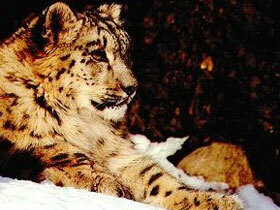 Here are a couple of option to see and learn about snow leopards in the wild in Russia and Pakistan. To estimate snow leopard (Uncia uncia) activity through field signs, by tracking and observation. To assess the status and distribution of their prey species like the argali and the Altai ibex. Where possible, to survey other animals such as marmots, birds and other small mammals. Note: This tourism business won an Award in our 2006 First Choice Responsible Tourism Awards – organised by responsibletravel.com in association with The Times, World Travel Market and Geographical Magazine, of the Royal Geographical Society. What is that pink balloon on a marabou stork? Tourist paradise – Coati opportunity! Can you survive being swallowed by a whale? Wild world is proudly powered by WordPress. Entries (RSS).